The death occurred, peacefully, at home surrounded by her loving family, on Saturday, December 8 of Aggie ‘Agnes’ Ward (née Reynolds), Glack, Park Road, Longford Town, Longford. Predeceased by her sister Maureen and her brother PJ. Aggie will be sadly missed and remembered with love by her family, husband TJ, daughters Carol and Linda, sons Niall and Fintan, grand-daughter Orla, brothers Tom and Barney, daughter in law Katie, son in law Marc, sisters in law, brothers in law, nieces, nephews, relatives and friends. May she rest in peace. Reposing at Glennon's Funeral Home, Ballinalee Road, Longford on Monday, December 10 from 5pm concluding with prayers at 8pm. Removal on Tuesday, December 11 to arrive at St Mel's Cathedral for Mass of the Resurrection at 11am, interment afterwards in Legan cemetery. 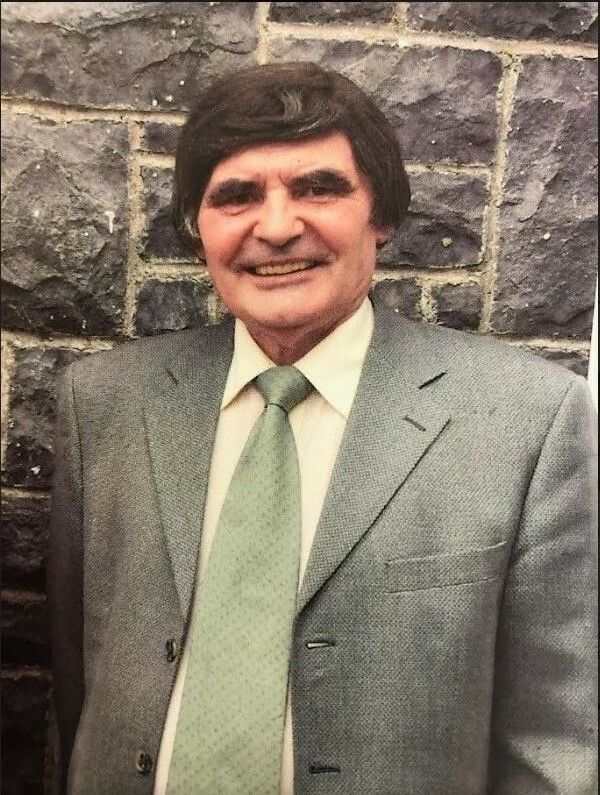 The death occurred, peacefully, at home surrounded by his loving family, on Friday, December 7 of James Masterson (Watchmaker and Jeweller), College Park, Longford Town, Longford and formerly of Ballyminion and Bridge Street, Longford. Sadly missed by his loving family, wife Mary, daughters Deirdre (Killian), Jackie (Boyle) and Michelle (Fox), sons Damien and James, brother Pat, sons in law, daughters in law, grandchildren, relatives and friends.May he rest in peace. Reposing at Glennon's Funeral Home, Ballinalee Road on Sunday, December 9 from 5pm until 8pm, concluding with prayers at 8pm. Removal on Monday, December 10 to arrive at St Mel's Cathedral for Mass of the Resurrection at 11am, interment afterwards in Ballymacormack cemetery. Family flowers only please donation if desired to Longford Palliative Care, c/o Glennon Funeral Directors or any family member. House private please. The death occurred, peacefully in the excellent care of the oncology unit at Midland Regional Hospital, Tullamore, on Friday, December 7 of Hugh Francis (Hughie) Keenan, Carrickedmond Parish & Drynan, Ballymahon, Longford. Sadly missed by his loving wife Ann, daughter Yvonne, sons Des, JJ, and Ronan, sisters, brothers, grandchildren, Uncle Pat, daughters-in-law Grace, Michelle, and Paula, son-in-law Owen, nieces, nephews, sisters-in-law, brothers-in-law, relatives, neighbours, and a large circle of friends. Rest in Peace. Reposing this Sunday, December 9 in Thomond Lodge Nursing Home, Ballymahon, from 5pm to 7.30pm. Funeral Mass on Monday, December 10 at 12 noon in the Church of the Sacred Heart, Carrickedmond, followed by interment in local cemetery. Family flowers only, please. Donations, if desired, to the Oncology Unit Tullamore Hospital - donation box in church. 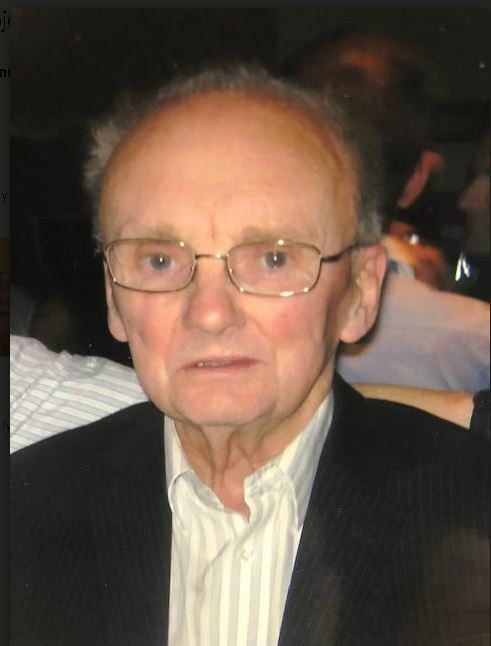 The death occurred, peacefully, surrounded by his family and in the loving care of the staff of Costello's Nursing Home, Ballyleague, on Friday, December 7 of James Kelly, Barry`s Avenue, Tarmonbarry, Roscommon / Longford and formerly of Lagan, Kilglass, Co Roscommon. Predeceased by his beloved wife Frances, his parents Nicholas and Mary, and his brother Tom. James will be sadly missed and remembered with love by his family, daughters Laura and Yvonne (Lynch), sons Chris and James, sister Alice, son-in-law Raymond, daughters-in-law Jackie and Niki, grandchildren Chelsea, Kelly, Ryan, Daniel, Luke, Alex, Ruby, Emily and Ava, relatives and friends. May he rest in peace. Reposing at his home in Tarmonbarry on Sunday, December 9 from 2pm until 7pm. Removal on Monday , December 10 to arrive at the Church of the Sacred Heart, Whitehall for Mass of the Resurrection at 1pm, interment afterwards in Ballymacormack cemetery, Longford. Family flowers only please donations if desired to the Alzheimer's Society ,c/o Glennon Funeral directors or any family member. The death occurred, peacefully, in Mullingar General Hospital, surrounded by his loving family, on Friday, December 7 of James Murphy, The Intellectual Disability Services, Beech Grove, Mullingar, Westmeath and formerly of Aughaboy, Killoe, Co Longford. James will be missed and remembered with love by his brother Pat Murphy, Ennybegs, sister-in-law Angela, nephew John (Galway), nieces Mary Dwyer (Arigna) and Carmel Hoey (Ballyforan), gran-nephew Colm, grand-nieces Orla, Bronagh and Niamh, his wonderful carers Rosaleen and Fiona and all the staff in Beech Grove, his many friends and neighbours. Silent thoughts of times together, Hold memories which will last forever. May He Rest In Peace. Reposing in Connell's Funeral Home, Church Street, Battery Road, Longford,(Eie-code N39 KN66), on Sunday, December 9 from 5pm concluding with prayers at 7pm. Funeral Mass on Monday, December 10 at 12 noon in St Mary's Church, Ennybegs, Longford, followed with burial in Aughaboy Cemetery. Please Note: Parking for Connell's Funeral Home is in Connolly Barracks follow signs. 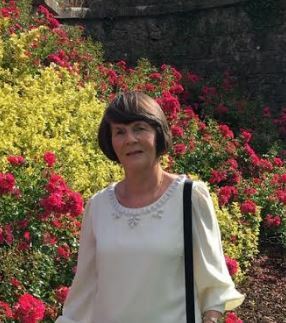 The death occurred, at home in Derryadd, on Thursday, December 6 of Rita Farrell (nee Flaherty) Derryadd, Killashee, Co Longford and formerly of St Michael’s Road and Farnagh Cottages, Longford town. Deeply regretted by her husband P Farrell and her loving family Gerry, Jimmy, Marie and Michael, daughters-in-law Teresa, Jenny and Sarah, son-in-law Brendan Cosgrove, grandchildren, great-grandchildren, sisters, brother, sister-in-law, nephews, nieces. cousins, relatives and friends. Rest In Peace. Funeral Mass on Sunday, December 9 at 1pm in St Mel’s Cathedral, Longford with burial afterwards in Ballymacormack Cemetery. The death occurred, suddenly in Perth, Australia, on Thursday, November 22 of David O'Brien, Clondra, Longford. 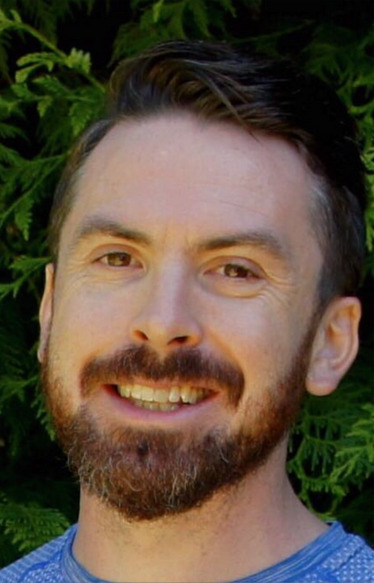 Deeply regretted by his heartbroken family, parents Malachy and Bernadette, sisters Hilary and Alison, brother Ross, nephew Winston, Hilary’s partner Mark, Alison’s partner Sean and David’s partner Chitra, uncles, aunts, cousins, relatives and a wide circle of good friends. Rest in Peace. Reposing at his home in Clondra on Sunday, December 9 from 2pm until 6pm with private time thereafter. Funeral Mass on Monday, December 10 in St Brendan’s Church, Clondra at 11am. House private on Monday morning please. Mass followed by private burial in Newtownforbes Cemetery. Family flowers only please. Donations, if desired, to the Kevin Bell Repatriation Fund care of Kelly’s Funeral Directors or any family member. The death occurred on Thursday, December 6 of Marie O'Neill, Hillcrest house, Longford town and late of Lurgan, Legan, Co Longford. Predeceased by her father Edward, mother Anne, brothers Kevin, Noel and Eamon and sister Tessie. Deeply regretted by her brother Paschal, sisters Evelyn, Imelda and Camilla, sisters-in-law, brothers-in-law, nephews, nieces and the staff of Hillcrest House. Rest in Peace. Mass of the Resurrection on Sunday, December 9 at 11am in St Mary's Church, Legan with burial afterwards in Foxhall Cemetery.